Cornish innovators looking for funding to get their idea off the ground are being invited to learn more about the emerging world of crowdfunding at an event in Penzance next month. The Cornwall Social Media Café event will take place at Penzance’s newly opened flexible working space, The Workbox, on the evening of Tuesday 8th October, starting at 6.30pm. Crowdfunding, where individuals pool their money to invest in new ideas, projects or businesses, has continued to grow in prominence over recent years in part due to the constraints on traditional bank lending. Guests at the free event will have the opportunity to hear from Emily Smith of Crowdfunding initiative, Crowdfund Cornwall, as well as two individuals with personal tales of their crowdfunding experience – one who successfully raised the £5,000 they required, another who failed to raise more than £62 of his £500 goal. The Cornwall Social Media Café is a monthly event for those interested in or using social media for business or pleasure. Started in 2009 the event regularly attracts an eclectic crowd of artists, inventors, businesses, bloggers, charities, politicians and journalists. situated in the heart of Penzance’s town centre. The Workbox has sponsored the event, providing the venue and free refreshments for all guests. 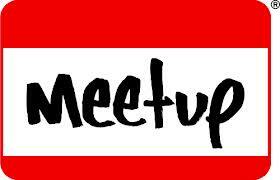 Anyone wanting to attend the event should register for free on the event page here http://www.meetup.com/CornwallSocialMediaCafe/events/139608012/ or call Aren on 07598 242212 for more information. 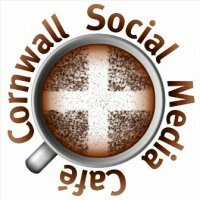 Cornwall Social Media Cafe is 3 Years Old! Just a quick post to let you know that the March meeting of Cornwall Social Media Café has been confirmed for Tuesday 13th March, from 6.30pm at Vertigo in Truro. This event will be a social and networking event; however, if you have an idea for a topic to share with the group please get in touch. Tweet, meet & be merry! This month the Cornwall Digital Meetup Group and Cornwall Social Media Cafe will be holding a joint Christmas social in the city of Truro. We would like to invite all existing members, and any new members, to join us at the Vertigo Bar, Truro from 6.30pm for drinks and good conversation. The next meeting of the Cornwall Social Media Café will take place on Tuesday, 8th November at 6.00pm at County Hall in Truro (click here for travel info). Our next meeting of the Cornwall Social Media Café will take place on Tuesday, 11th October from 6.30pm at the Vertigo bar in Truro . Just a quick post to let you know that the September meeting of Cornwall Social Media Café has been confirmed for Tuesday 13th September, from 6.30pm at Vertigo in Truro. This event will be a social event following our recent series of more formal events.